The vast majority of Americans no longer Hear, Speak, Spell, Read, or Write English with competency, let alone with skill. The destruction of Americans’ ability to precisely understand and use their own language is at the root of every problem that faces our nation: school failure; dearth of general knowledge; limited horizons; shallow, inaccurate thought processes; poor communication skills; unemployability; criminality; and the development of this shallow, polarized society in which we live. Still teachers are wasting precious educational time, and damaging young brains, with flashcards and sight word memorization. We have no reason to expect any noticeable change, whether a Hobby Educator, or a Degreed Educator, is at the helm of the money wasting, regulation imposing, U.S. Department of Education. The True Educators have mostly died off or been spiritually beaten into silence. Thus far, no one in power has been willing to 1) accurately identify the Core Problem and its breadth, 2) agree to fund only proven traditional methods, and 3) demand absolute use of successful teaching methods. Only by doing these three things can America solve the Core Problem at each level and thus RESET the learning and intellectual abilities of all Americans: Preschool; Elementary; 6-12th Grades, and Adult. 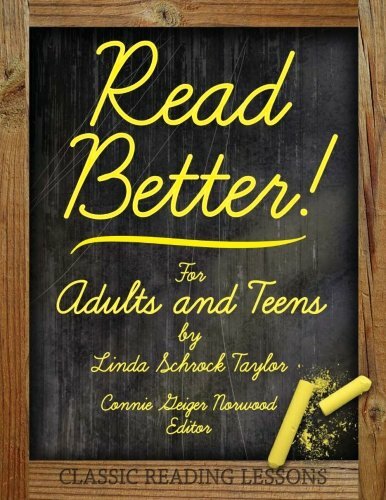 Most modern teachers in America have never taught any child to be a great reader. My very wise educator mother always maintained that, “Children, who do learn to read in today’s schools, learn in spite of the instruction.” I have to agree with her. My own son, by the school’s own testing, was reading at the 11th grade level in Second Grade BUT he was forced to use First Grade basal readers in the classroom because that was the level of the lowest child. He was not allowed to check out chapter books from the school library because the school rule was that children could not check out chapter books until Third Grade, no matter their reading level. It is not politically correct to be a very intelligent child in today’s public schools. When I think about Education, with all of its frustrations, failures, and Stupid Decisions, I must state again that America never needed a federal Department of Education to dumb America down to this, its most incompetent level ever. The U.S. Department of Education has served to hog tie and distract Local Districts from fully and skillfully educating Americans to the high standards that American teachers taught to before that Federal Department, and its State Offshoots, came into existence. Laura responded, “Awesome! My older boy graduates this year and is being recruited by several universities. We are most interested in Iowa State, however, because my family is in Des Moines. My younger son is a Wizard! He wants to attend a university in California. His goal is to work for Apple so he can show them where they are making mistakes.” Big smile. Ah…successful children coming out of the public schools… although that might not have been the case. It was several years ago that Laura stopped by my table to say, “The school wants to put one of my boys in special education, and the other is not learning to read well, either. Can you help?” Laura was too busy to talk right then so I promised to put some materials together. A few days later, I stopped to give her some things to have her boys do: letters to move around to use the Code In Which English Is Written; a set of phonogram cards to teach the sounds represented in that CODE; some simple practice stories with those phonograms underlined. Laura was not working that day so I scribbled a very few notes on the only paper I had, 3 2×2 Post-a-Notes. Four months went by before I next saw Laura, and she was ready to return my materials. She said that they were no longer needed and thanked me warmly. Laura reported that both boys were now in the top reading groups in their classes. The principal had asked her what she had done to cause that rapid change so she suggested that he “Call Linda Taylor.” “Had he called?” she asked me. No, he had not called and still, a decade later, no one from the district has ever called. So, who taught those two boys to read well and thus set the stage for them to actually learn subject matter and develop a high rate of overall literacy? A) a caring mother using a few simple materials and a few hastily scribbled instructions, OR B) teachers who had had at least several expensive, time-consuming, state-mandated, “education” courses at university? Honest, non-brainwashed individuals will acknowledge that it was the mother who taught those boys to read and prepared them for a Life of Literacy and Learning. Will Betsy DeVos, or any other appointed figurehead or hobby educator, be able to understand that difference, and the importance of that difference? Are mis-educated “educators” even capable of realizing the difference between a real education brought about by skilled, insightful, accurately trained teachers, and the pretense of an education brought about by overregulated and undereducated teachers and administrators following the Pied Pipers of consultants and textbook publishers? Throughout my decades working in public schools, I almost always observed that such individuals do not even understand why they are failing children in generation after generation and have little interest in learning about what actually works. Educators would rather chase fads and brass rings or fall back on the use of damaging sight word memorization because their training universities provided them with no other tools. 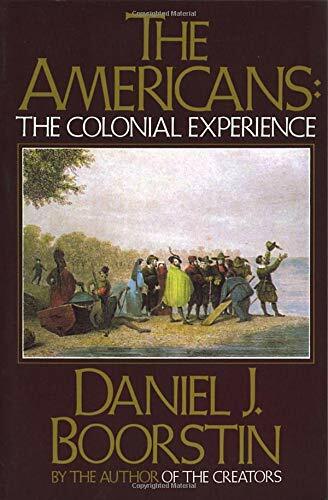 In his book, The Americans: The Colonial Experience, Daniel Boorstein explains that “Through learning to read, write, and speak a common language many peoples were amalgamated into a single nation. …Declaring teachable rules of language…helped dissolve class distinctions and has kept one more avenue open in a mobile society. Who could have predicted that a free and equalitarian society would be promoted by a pedantically precise standard of language?” Today’s educators cannot even determine the solution to the problem when there are a couple hundred years of evidence available to prove that “a pedantically precise standard of language” did, indeed, bring about universal literacy in America.